If you're at your wits end on how to rid your yard of evasive underground pests, there's a cheap, easy-to-find way to keep them from uprooting even more grass: olive oil. Stuffing rags doused in the popular home cooking substance is sure to rid your yard of moles, who can't stand the smell, according to a list of alternative uses for olive oil posted at Mrs. Fixit. Sure, olive oil is a key ingredient in most kitchens for sautéing, frying and baking, but there are many other ways to exploit its lubricating benefits in and around the home. Its oily properties aren't only useful to keep salmon from sticking to your Caphalon, they'll also help smooth over dents in wood furniture, particularly when combined with a bit of citrus vinegar to add some cleaning oomph. 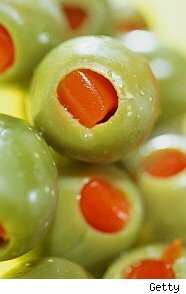 Others who dabbled in additional ways to use golden oil pressed from olives found it useful for lubing babies' bottoms, revitalizing aging leather shoes and baseball gloves and curing earaches. If you've searched in vain for a way to stop snoring, champions of the Mediterranean diet staple suggest taking a swig of olive oil before turning in for the night. Pouring a bit of it over the cat's food can also help do away with hacking caused by hairballs, while also contributing to a healthy, shiny coat. Much-touted antioxidants and linoleic acid in olive oil aren't only good for your insides, but for your outer attributes as well. Dermatologists suggest using it to moisturize dry skin, ragged cuticles, and tangled tresses. It also works for shaving. Olive oil isn't cheap, but there are many alternatives to chose from when picking one that you don't necessarily plan to cook with. Consumer Reports tasted 18 brands and found a more affordable extra virgin mix manufactured by Goya beat out its pricier counterparts. There's also plenty of controversy about how pure the substances in bottles labeled "extra virgin olive oil" actually are. For a primer on various olive oil grades and what they're best used for, check out this table at Green Living Tips.